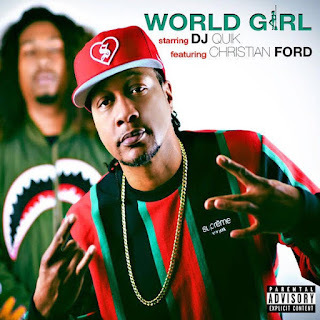 Legendary producer/recording artist DJ Quik makes his triumphant return to music with the release of his brand new single, "World Girl". Closer on the song, Quik delivers a signature smooth, flirtatious, refreshing verse describing his perfect type of woman. "World Girl" is the lead single off of DJ Quik's forthcoming first solo album in five years, currently untitled. The follow up to his 2014 'The Midnight Life' LP. The highly-anticipated 10th studio album is slated for a late-2018 release. "World Girl" is available for streaming everywhere courtesy of his Mad Science Recordings imprint.